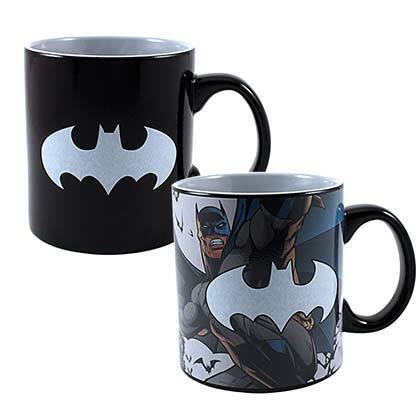 Batman jumbo mug. 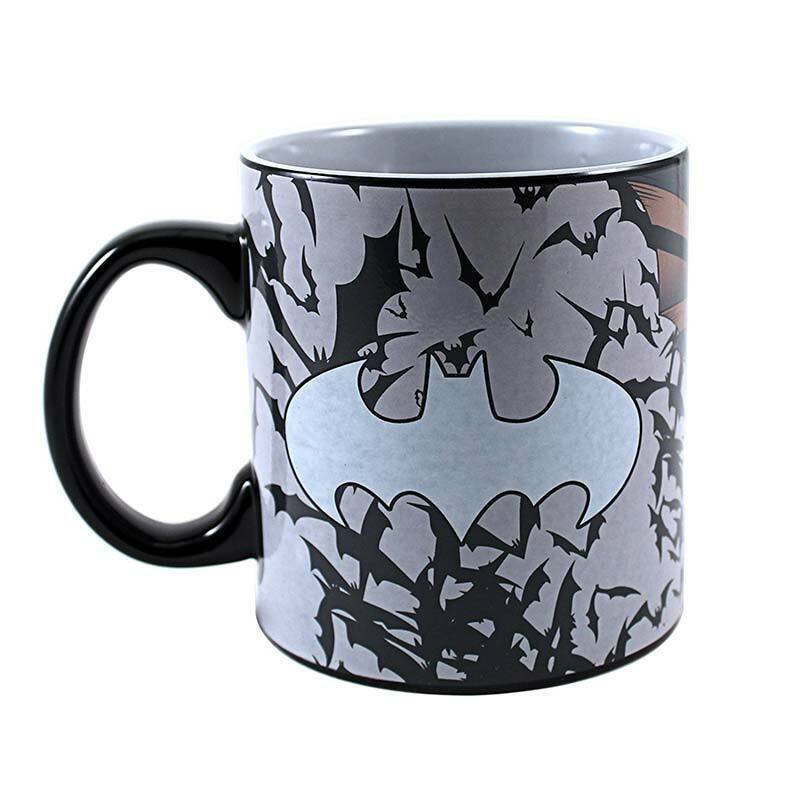 Features the authentic Batman logo with imagery that appears when heat is added. Mug holds 20 ounces. Officially licensed.